DO YOU THINK DESIGNING INTERIOR IS COMPLICATED? DO YOU FIND IT HARD TO MATCH COLOURS, FURNITURE AND FINISHING MATERIALS SO THAT THEY ALL FIT TOGETHER AND AMAZE AT FIRST GLANCE? DO YOU SEEM TO BE LACKING IN AN IDEA FOR MODERN AND COMFORTABLE INTERIOR? DO YOU GET THE IMPRESSION THAT IT IS IMPOSSIBLE TO COMBINE COMFORT AND FUNCTIONALITY AND STILL KEEP INTERIOR ATTRACTIVE? DO YOU KEEP DELAYING THE DECISION OF STARTING REFURBISHMENT FOR FEAR OF WRECKING YOUR NERVES BY HOPELESS RENOVATION TEAMS? ARE YOU AFRAID OF SERIOUS FINANCIAL IMPLICATIONS OF YOUR WRONG DECISIONS, CHANGES IN TE COURSE OF WORK OR EXCEEDING YOUR BUDGET? WE KNOW HOW TO SOLVE YOUR PROBLEMS- WE DO IT ON A DAILY BASIS. DESIGNING INTERIOR IS OUR PASSION. INTERIOR ARRANGEMENTS CARRIED OUT BY INSPIRATION STUDIO TAKE INTO ACCOUNT UP-TO-DATE DESIGNS, STYLES, INTERESTING SOLUTIONS AND IDEAS AND VISUALISATIONS ENABLE YOU TO SEE YOUR NEW INTERIOR RIGHT NOW. OVER 10 YEARS WE HAVE DEVELOPED MORE THAN 270 PROJECTS. WHILE CARRYING OUT OUR DEVELOPMENTS WE USE HIGH QUALITY MATERIALS, MODERN SOLUTIONS, FIND THE BEST CRAFTSMEN. ALL THESE RESULT IN CREATING FOR OUR CLIENTS INTERIORS EFFICIENTLY, PROFESSIONALLY AND WITH GREAT COMMITMENT MEETING THE CLIENTS’ EXPECTATIONS AT TE SAME TIME. IF YOU ARE LOOKING FOR EXPERIENCE AND EXPERTISE IN DESIGN AS WELL AS CREATIVE AND INDIVIDUAL APPROACH TO INTERIOR DESIGN AND EXECUTION OF PROJECTS YOU HAVE FOUND THE RIGHT PARTNER. INTERIOR DESIGN WITH VISUALISATIONS, TECHNICAL SPECIFICATIONS AND COST ESTIMATION OF USED MATERIALS, CERAMICS, FURNITURE, LAMPS ETC. SUPERVISION OF EXECUTION BY QUALIFIED INTERIOR ARCHITECTS. ORDERING THE ELEMENTS AND MATERIALS REQUIRED FOR EXECUTION. IN NEWLY BUILT PROJECTS, ONE OF THE FLATS (SHOW FLAT) IS FINISHED AND FURNISHED BY OUR COMPANY. IT IS ONE OF THE MOST EFFECTIVE METHODS TO INCREASE SALES IN EUROPEAN HOUSING PROJECTS. HOUSE OR APARTMENT IN NEWLY BUILD HOUSING PROJECT IS BEAUTIFULLY FINISHED AND FURNISHED, WHICH MAKES IT A PERFECT SHOWROOM POSSIBLE TO PURCHASE AT THE PRICE, WHICH INCLUDES THE INVESTMENT MADE. 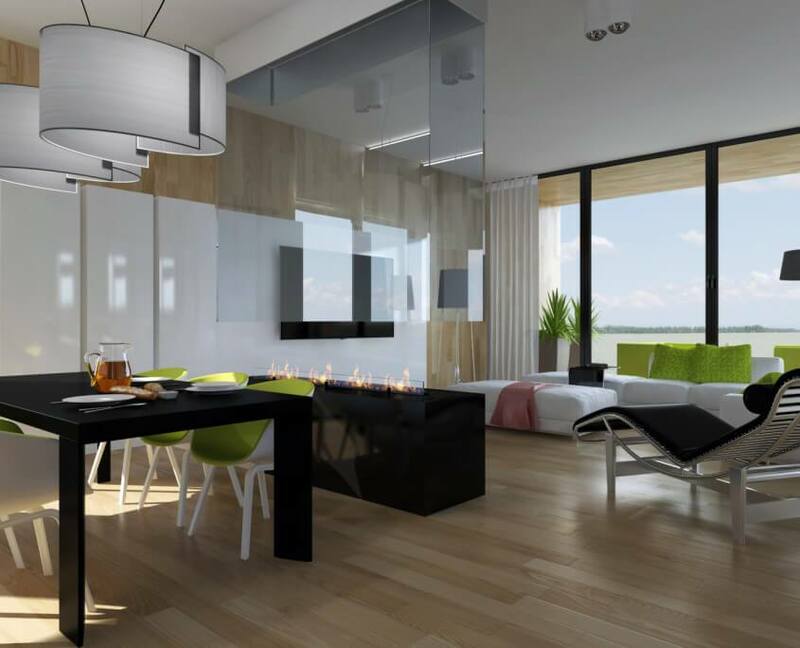 CUSTOMERS WILL BE ABLE TO SEE THE DESIGN OF FULLY FINISHED APARTMENT. VISUALISATIONS WILL SHOW YOUR CUSTOMERS THE FINAL EFFECT OF THE DESIGN APPLIED IN THE PURCHASED PROPERTY, NOT ONLY TECHNICAL VIEWS. WE CAN ALSO PREPARE A VIRTUAL TOUR OF THE DESIGNED INTERIOR. INSPIRATION STUDIO IS A DESIGN OFFICE WITH TEN- YEAR EXPERIENCE. OUR TEAM CONSISTS OF CREATIVE INTERIOR DESIGNERS WHO HAVE PROVEN THEIR EXPERTISE WORKING ON MANY DEVELOPMENTS. DESIGNING INTERIOR IS A TRUE PASSION FOR US, PASSION FOR CREATING SOMETHING UNIQUE. BY LISTENING CAREFULLY TO OUR CLIENTS WE COME UP WITH PROJECTS THAT ARE COHERENT WITH THEIR VISION, MATCH THEIR LIFESTYLE AS WELL AS BEING FUNCTIONAL AND CREATIVE. WE TAKE CARE OF BOTH THE FORM AND A DETAIL. IN OUR ARRANGEMENTS WE APPLY HIGH QUALITY MATERIALS. TO MEET OUR CLIENTS’ EXPECTATIONS WE HANDLE DEVELOPMENT OF THE INVESTMENT. ON BEHALF OF THE INVESTOR WE ORDER ALL MATERIALS, EQUIPMENT AND FURNITURE. OUR QUALIFICATIONS ARE CONSTANTLY IMPROVED THROUGH TRAINING COURSES, TAKING PART IN FAIRS, EXHIBITIONS. WE ARE VERY MUCH CONCERNED ABOUT CREATING DESIGNS THAT FOLLOW CURRENT TRENDS, MODERN TECHNOLOGIES AND INNOVATIVE SOLUTIONS. We realize projects throughout Poland and abroad.